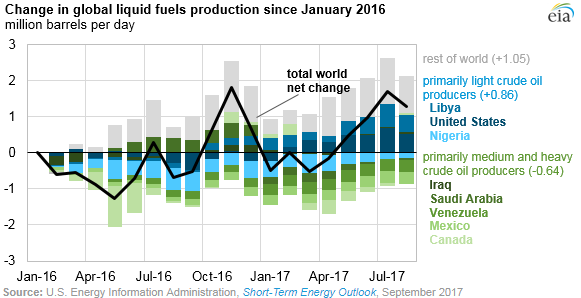 Growth in global liquid fuels supply since March 2017 has been driven by increases in the production of historically higher-priced light crude oils. This growth has more than offset recent declines in the production of medium and heavy crude oils. 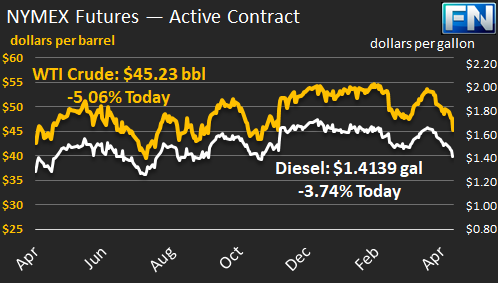 As these production trends continue, price differences between certain crude oils are narrowing, and refinery operation decisions are changing. Two of the most important attributes when comparing the qualities of different crude oils are sulfur content and density. EIA defines crude oil with less than 1% sulfur as sweet and crude oil with greater than 1% sulfur as sour. Density is measured in API gravity, an inverse of the petroleum liquid’s density relative to water. API gravity ranges from heavy, or high, density (less than 25 degrees API) to light, or low, density (greater than 35 degrees API). Voluntary production cuts from some members of the Organization of the Petroleum Exporting Countries (OPEC) since November 2016 have reduced the global supply of medium- and heavy-quality crude oil. In addition, crude oil production outages in Canada and declines in production from Mexico and Venezuela are further reducing the total amount of medium and heavy crude oil available to refiners. In contrast, global production of light crude oil has increased. Libya and Nigeria, which are not participating in OPEC’s production cuts, have increased production of their light-sweet crude oil in recent months. In addition, much of the increase in U.S. crude oil production has come from shale formations in the Lower 48 states, which contain primarily light-density crude oil. 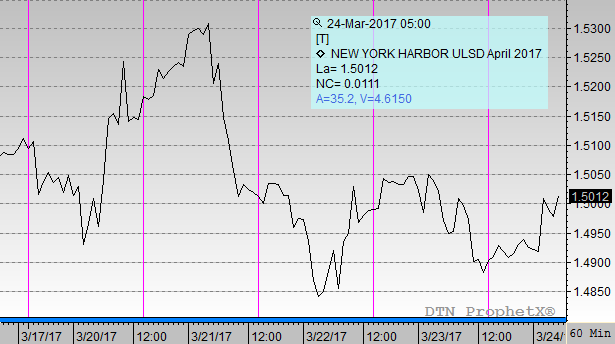 As the relative availability of light and heavy crude oils has changed, price spreads between light and heavy crude oils have narrowed. Relatively light crude oils are typically priced higher than heavier crude oils, because light crude oils require less refinery processing to produce high-value products such as gasoline and diesel. Lighter crude oils are also considered more valuable because not all refiners have the equipment necessary to process heavier, denser crude oils. 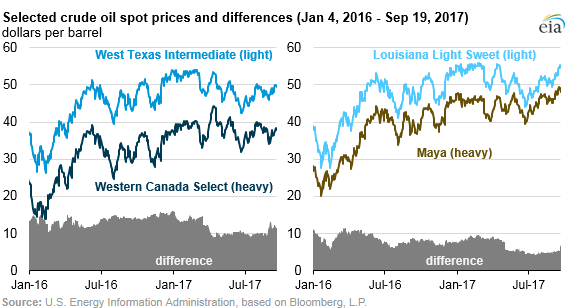 On the U.S. Gulf Coast, the premium for Louisiana Light Sweet (LLS) crude oil over heavy Maya crude oil from Mexico narrowed from $9 per barrel (b) in March to $5/b in August. In the Midwest, the premium for light crude West Texas Intermediate (WTI) over heavy Western Canada Select (WCS) also narrowed from $13/b in March to $10/b in August. Differences in sulfur content also affect the price of crude oil and where it can be processed. Sour crude oil requires more complex refinery processing to meet low-sulfur fuel specifications and to avoid damage to refinery units. Processing heavy-sour crude oil requires additional refinery units—including crackers, cokers, and hydrotreaters—to yield light products. These additional units increase refinery complexity but also allow the refiner more flexibility to select types of crude oils to purchase and run through their refineries, potentially increasing profitability. Refiners’ investment decisions often depend on the location of the refinery because of the cost of transporting oil. Gulf Coast refineries in the United States are typically supplied with heavy Mexican and South American crude oils. Gulf Coast refineries are more complex than East Coast refineries, which are supplied with lighter, sweeter Atlantic Basin crude oils. Because the price of crude oil and refinery complexity are major factors that affect profitability, a wider price differential between heavy and medium crude oils and light crude oils benefits more complex refineries. In 2017, the price differential between medium and heavy crude oil and light crude oil has gotten smaller, reducing the competitive advantage of some more complex refineries.